“a Lamp to my feet. a Light for my path.” – Revelations 22:4-5 | A LAMP TO MY FEET. A LIGHT FOR MY PATH. ← “a Lamp to my feet. a Light for my path.” – 1 Kings 8:60.
and His name will be written on their foreheads. because the Lord God will be shining on them. They will reign for ever and ever. and it is up to us to strive towards it. – placing us firmly on the road to get there. – From an 18th century hymn written by Fanny Crosby, who was blind but knew that the first person she would ever see would be Jesus Christ. and to reign with You, forever, in Your perpetual glorious light! Thank you for sharing such a BEAUTIFUL POST. 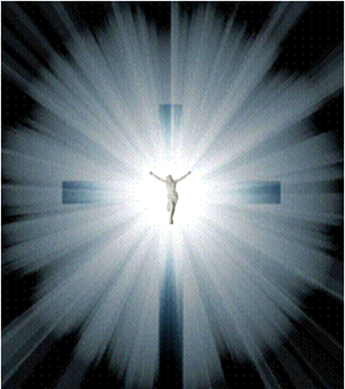 Yes JESUS CHRIST SHINES IN HIS GLORY. He is so GOOD and HUMBLE and GENEROUS and of INFINITE LOVE. We thank You Dear Lord Jesus Christ. During the Last Supper with the Apostles, Lord Jesus gave us His Most Holy Body and Blood to sustain us during lifetime. Most Holy Jesus Christ is so very ALTRUISTIC, and CARING and THOUGHTFUL for us. HE even promised to send us THE HOLY SPIRIT for WHOM also we are so very grateful. Our GOD IS GREAT AND LOVES US very, very much, and after this lifetime we long to see Him face to face and ADORE HIM, REJOICE and THANK HIM, and SING HIM PRAISES.